Often associated with charities and community groups raising funds, high profile successes are making commercial enterprises consider it a serious option for funding growth. But this is new territory for many businesses with many unanswered questions. Shaw Gibbs MD and Corporate Finance specialist Peter O'Connell gives an ‘at-a-glance’ view for businesses venturing into crowdfunding for the first time. Bitreserve raising an epic £6.3million and Caterham F1 team raising £2.4m on Crowdcube, and Seedrs raising £2.4m on their own platform are star cases which are bringing crowdfunding into the mainstream. Day-to-day, most businesses are raising under £1m, with the large majority between £100,000 and £500,000. But the market is getting noisy with new platforms springing up, many with sector specialities. How they raise funds differ too, ranging from rewards-based, peer-to-peer lending, invoice finance and equity-based. Finding the most suitable will depend on your business, your potential funders and what you’re looking to achieve. A rewards-based campaign on a site such as Kickstarter may work well for funding a single project with clear ‘giveaway’s’ for donors, but large scale capital growth funding would require an equity-based platform such as Seedrs and Crowdcube. On these sites businesses offer to give up a proportion of equity in exchange for an investment and the majority of businesses listed have Enterprise Investment Scheme (EIS) or Seed Enterprise Investment Scheme (SEIS) approval. Peer-to-Peer lending and invoice finance are debt based products. These will include platforms such as Funding Circle, Thin Cats and Market Invoice. Peer-to-Peer lending is typically in the form of term loans over a period of 60 months, often secured by personal guarantees or assets. Invoice financing is typically for short-term funding of specific sales invoices. A sure sign of a maturing market is the onset of regulation, and this is happening rapidly in crowdfunding. The growing numbers of platforms means that providers now have to be authorised and regulated by the Financial Conduct Authority, giving borrowers and lenders more confidence and to ensure that crowdfunding becomes the viable, trusted alternative and long-term option for business funding. Consequently, the majority of pitches that are now making their way to crowdfunding sites are being successfully funded. Once you’ve chosen a platform, the next steps are to launch your campaign. The sites will differ but the basic steps involve registering with the platform and uploading your pitch with all the necessary supporting information. Once approved by the site, your campaign will be live for the pre-determined period of say 45 or 60 days. If the campaign is fully funded, the site prepares the paperwork for you to draw down the funds, minus their fees. One of the big differences between crowdfunding and conventional forms of lending is its competitive nature. Treat a crowdfunding campaign as you would any marketing campaign. Make your pitch engaging and clearly state the benefits, and calls to action, for funders. Make a video, gather testimonials and launch a social media campaign to extend its reach as far as possible. 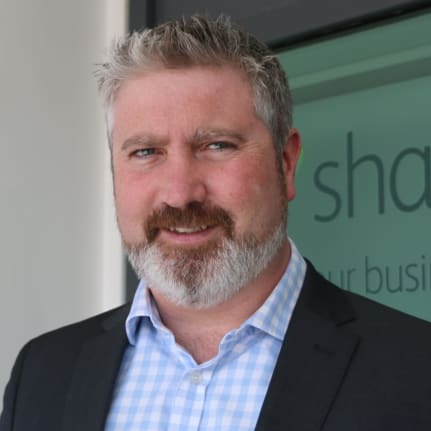 Talk to Peter O’Connell about crowdfunding and all forms of business finance - call him on 01865 292200 or email Peter.O'Connell@shawgibbs.com.